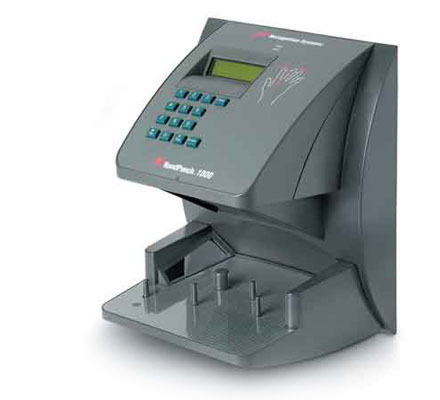 The Schlage (Recognition Systems) HandPunch 1000 verifies the employee's identity in less than one second. Buddy punching and time fraud are eliminated, thereby reducing payroll costs. Verifies up to 50 employees (Expandable). Note: CLOCK ONLY! No Software. Open clock with no OEM code.